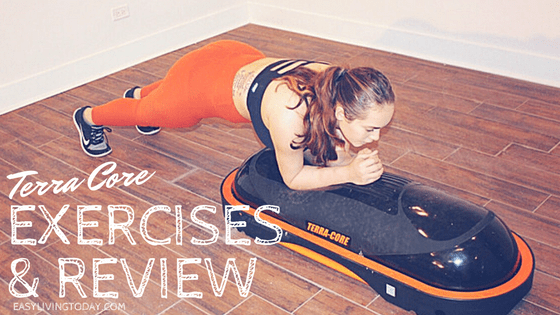 Terra Core Fitness Apparatus, a Home Gym Must for Moms! Do you want to workout from home but don’t have a ton of time or space? Then this Terra Core Fitness Apparatus is for you, my friend. It allows you to have an intense workout while giving you durability, versatility and flexibility. ==> Say no more, I want a Terra Core now! 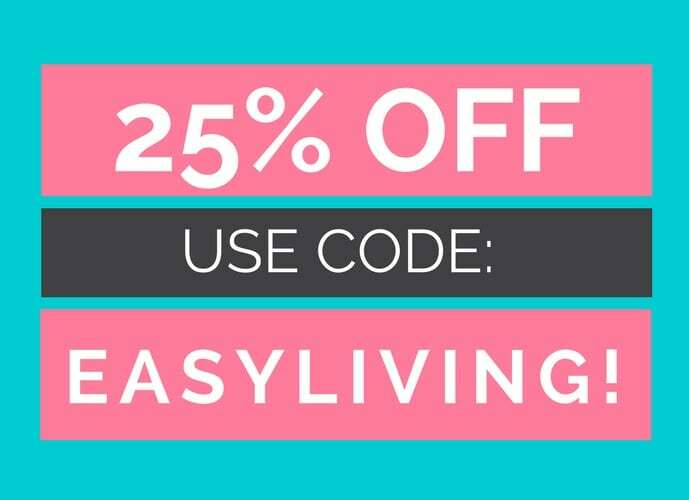 Get 25% off with the code EASYLIVING at checkout. Is it a bench? Is it a step? Is it a balance trainer? It’s all of the above! Therefore, I’m going to call it the Terra Core Fitness Apparatus. If you haven’t noticed on my Facebook or Instagram, I’m kind of obsessed with the Terra Core right now! ? It’s super portable. I can move it around my house as needed. If I want to work out in my bedroom, I can. If I want to workout in my living room, I can. If I want to work out at the park while my son plays, I can. I’m not limited to a specific place in my home or a gym to get a crazy good workout in. It’s ridiculously versatile. You can do over 25o exercises with the Terra Core so you will never get tired of it. You can use it as a bench, as a step, as a balance trainer and even as a weight! It’s an AMAZING workout. I mean, did I say amazing? You can watch my video below and you can see me struggling (but a good struggle, ya’ll) to keep my balance while performing these exercises. It literally takes your routine to the next level. It’s extremely high quality. This thing can hold up to 1,000 pounds and is built extremely well. It’s a calorie torcher. Each time I have used my Terra Core I have burned over 300 calories in 40 minutes and am drenching in sweat by the time I am done. As I mentioned above, there are over 250 exercises you can do with the Terra Core. I’m not going to lie and say I have done all 250 of them because… c-section mom over here ??. But, I can tell you that I am working through them and trying to test out all of the ones my body can handle. This video shows some of my favorite workouts so far. In this video I am 6 months postpartum from my second c-section in under 2 years. So excuse my poor posture, my back still hurts from so much pregnancy and two bad epidurals! ? Holy mountain climbers, this thing is rough. I’m pretty sure my husband is tired of hearing me saying that every time I workout… but, it is! And I mean that in the best way possible. I’m going to go ahead and say what I’m thinking even though I haven’t tried out every bench in the world, this has to be the best fitness bench for moms. I mean, you can move it around the house to where your kids are, they can safely play with it while you are watching them, you can move it out of the way easily, and it does more than enough for the average person (like me). And, of course, there’s the added bonus that it can be used as so much more than a bench and you don’t have to buy any other home exercise equipment if you don’t want to. This can do it all. ==> Get 25% off of your Terra Core at https://www.terracorefitness.com/ using the code EASYLIVING at checkout!